In a little more than two weeks after the wildfires that spread across Sevier County, Tennessee, Dolly Parton and the Dollywood Foundation’s My People Fund has distributed its first round of cash assistance for 884 families who lost their primary residence (renters and homeowners). 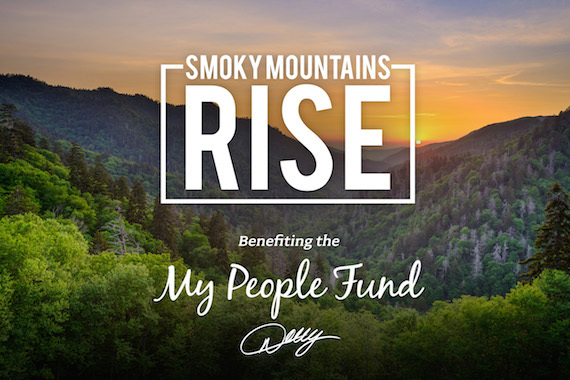 In part, the fund was supported by Smoky Mountains Rise: A Benefit for the My People Fund telethon on Tuesday, Dec. 13. Thanks to generous people from coast to coast and Parton’s friends, the total amount raised during the event has climbed to $9.3 million. More than 1,300 families are said to have been displaced during the tragedy. A pre-application for those affected is available at dollywoodfoundation.org. The next distribution is Jan. 26 and 27, 2017 at the LeConte Events Center in Pigeon Forge, Tennessee.